Book Your West Chilcotin Adventure. Accommodations, dining, and adventure rates guide. Stewart’s Lodge offers you the opportunity to enjoy daily fly-out service from the main lodge on Nimpo Lake. In addition to our main lodge we provide several lakeside rustic cabins and two larger log homes which can accommodate small to larger groups. We have boats and motors on over 25 different locations on lakes and rivers for you to choose from. Experience the best the West Chilcotin has to offer. Aside from great lakeside accommodation, we are within easy flying distance to outdoor adventure that abounds in the vicinity of Tweedsmuir Provincial Park; Turner Lake Chain, Rainbow Mountains, Monarch Icefields, Mackenzie Grease Trail, countless lakes and streams with ample WILD trout, and much more! Stewart Lodge Amenities can be purchased during day visits or as part of our fly-in fly-out adventure packages or a customized holiday. Free shuttle between Anahim Airport and Lodge on Nimpo Lake. All cabins at Nimpo Lake include a private bathroom with a shower or bath. Fly-out fishing trips start at $350.00 per person. Fly-out canoeing and kayaking trips start at $350.00 per person. Fly-out backcountry hiking trips start at $250.00 per person. Stewart’s Lodge… the perfect destination for Highway 20 travellers! 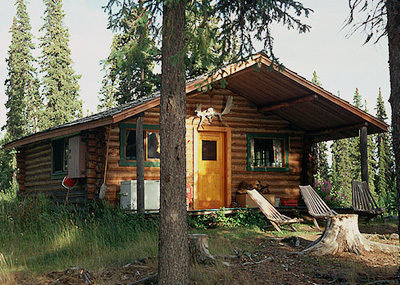 GIVEN THE SEASONAL NATURE OF STEWART’S LODGE, you will find us at Nimpo Lake from late Spring to early Fall. Once our season is a wrap, we head south east to enjoy the winter climes and mountain slopes in Kelowna. We would love to hear from you. Complete the form and we will get back to you asap!